Marc Lee Raphael was rabbi of Bet Aviv from 1998 to 2011. 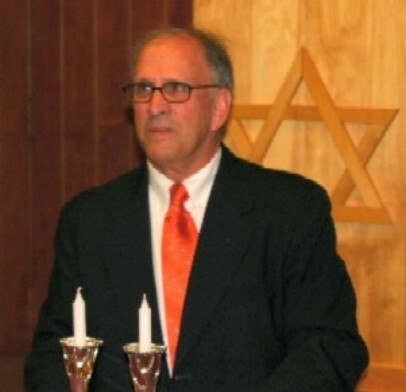 He is also the Nathan and Sophia Gumenick Professor of Judaic Studies, Professor of Religious Studies and Chairman of the Department of Religious Studies at The College of William and Mary. He recently completed a twenty-year term as editor of the quarterly journal, American Jewish History, and edited The History of Jews and Judaism in America, published in 2009, for Columbia University Press. This same press published his Judaism in America. In 2005, The College of William and Mary published his Towards a “National Shrine” : A Centennial History of Washington Hebrew Congregation, 1855-1955, the most recent in a long list of books he has written and edited on the history of Jews and Judaism in the United States. Also, Rabbi Raphael wrote A History of the Synagogue in America for New York University Press that will be published in 2011. A native of Los Angeles, Professor Raphael is a graduate of the University of California, Los Angeles (B.A., History and Ph.D., History) and the Hebrew Union College-Jewish Institute of Religion (M.A., Religion and rabbinic ordination). Residing in Washington, D.C., he frequently leads walking tours of the Washington Jewish community of the nineteenth century (“Of a world that is no more”). He and his wife Linda Schermer Raphael (George Washington University) frequently teach “The Representation of the Holocaust in Literature and Film” using their edited book (Rutgers University Press), When Night Fell: An Anthology of Holocaust Short Stories.